Kakadu is one of those places most Aussies would love to visit, but because it’s on their doorstep they put it off and opt for a foreign holiday instead. So Arnold Furnace came up with an instant solution to the problem in the form of The Kakadu Cab an unmarked Sydney taxi offering anyone who got in two choices: either be driven to their destination just like a normal cab, or get whisked off on a three day adventure around the Northern Territoryâs Top End, courtesy of their client Inspiring Journeys. The only catch was they had to leave immediately. The whole trip was documented with the footage then turned into webisodes detailing the “winners” individual experiences. Create personalised Ipad games for your kids – for Free! Plumpy’Nut is the last resort for many children in East Africa. 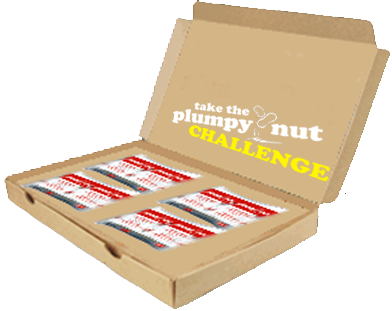 We’re challenging you to live off Plumpy’Nut for just one day. Once you sign up, we’ll send this beautiful box of deliciously nutty goodness. For one day, this will be all you will eat. You can choose any day before March. Im a bit obsessed with alarm clocks at the moment! Im fed up of hitting the snooze button and of really annoying alarm clock sounds (on my phone). I have the annoying ones because I tend to sleep through the more subtle ones! So I have re-visited Sleep Cycle and last night used it, I obsess over what my sleep pattern was! I was surprised I heard my daughter at 3am this morning talking in her sleep (normally I hear nothing!) but it turns out I wasnt in a deep sleep!! It woke me up nice and gently too which was nice. Having said that I dont feel any more refreshed today than any other day! This morning I came across a new one called Uniqlo Wake Up, a social alarm app from Japanese fashion retailer Uniqlo that incorporates the current weather, time and day of the week into its wake-up music. How great is that, it wakes you up and tells you its cold or raining outside! How great also that its a brand that is doing this! Love it. I don’t know a lot about the Uniqlo brand, but wouldnt it be great if people woke up every morning thinking about you! This is a great round up of campaigns from 2012 from Gregory Pouy (HT to AdverBlog). When reviewing it I thought some of the campaigns were older than 1 year, amazing how much can happen – where will we be this time next year. Lots of great creative in here – well worth taking the time to look over it.